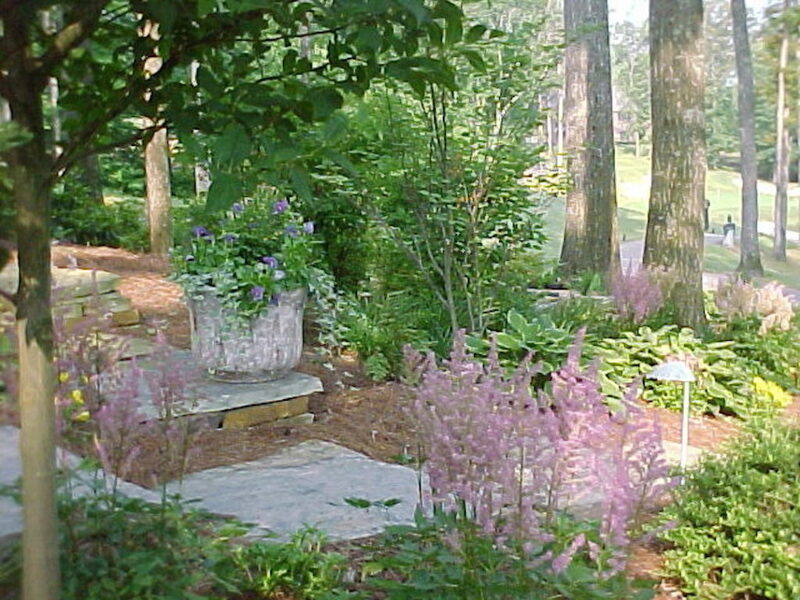 Our specialty in residential garden design always involves the thoughts and concerns of our clients along with our own creative ideas. 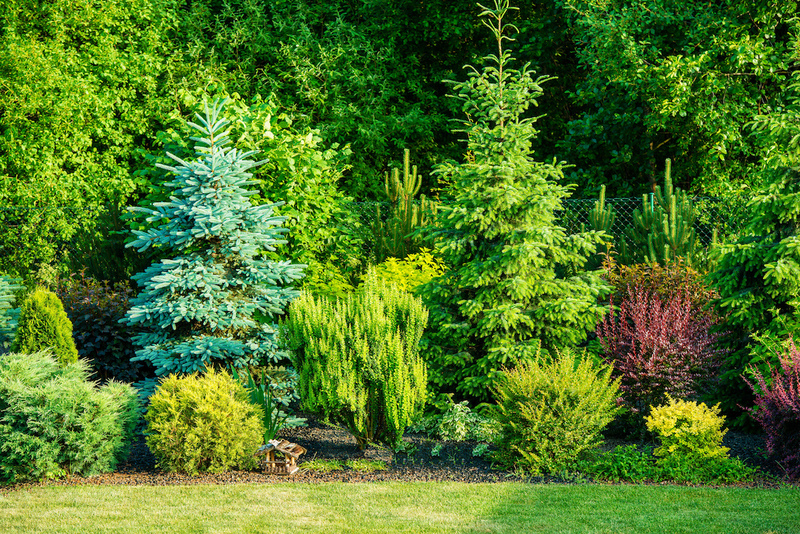 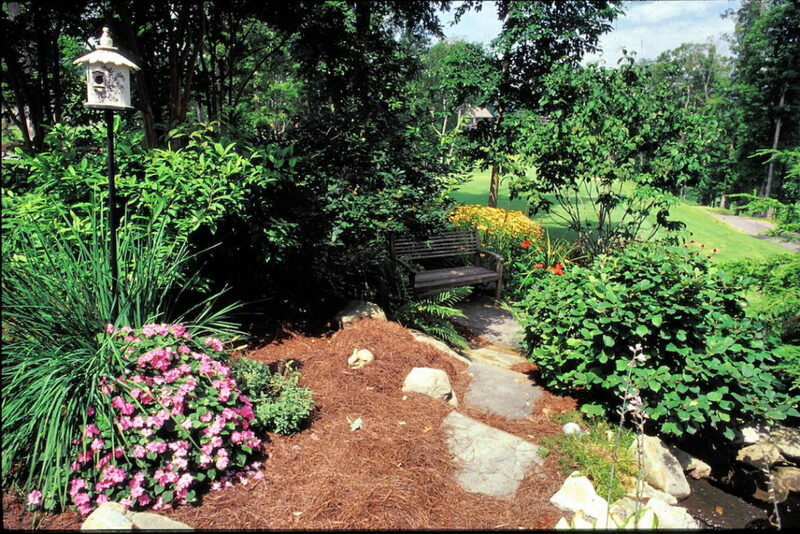 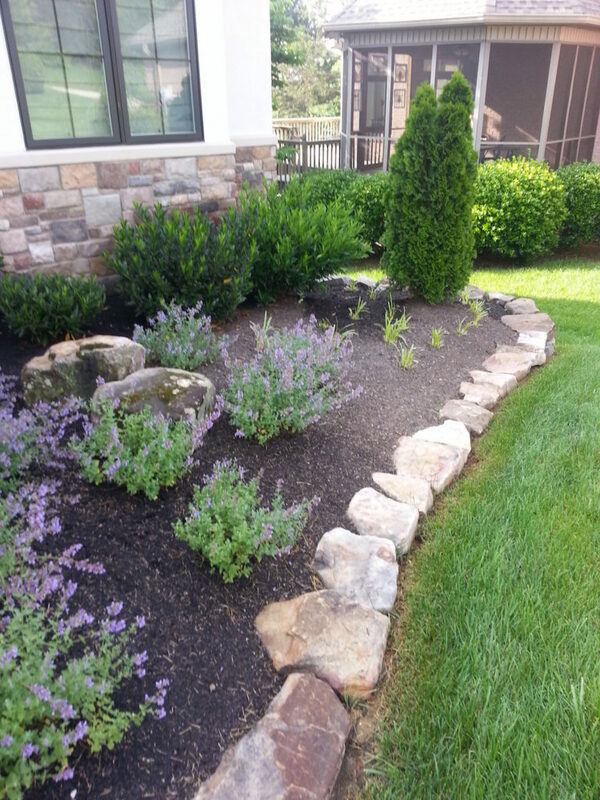 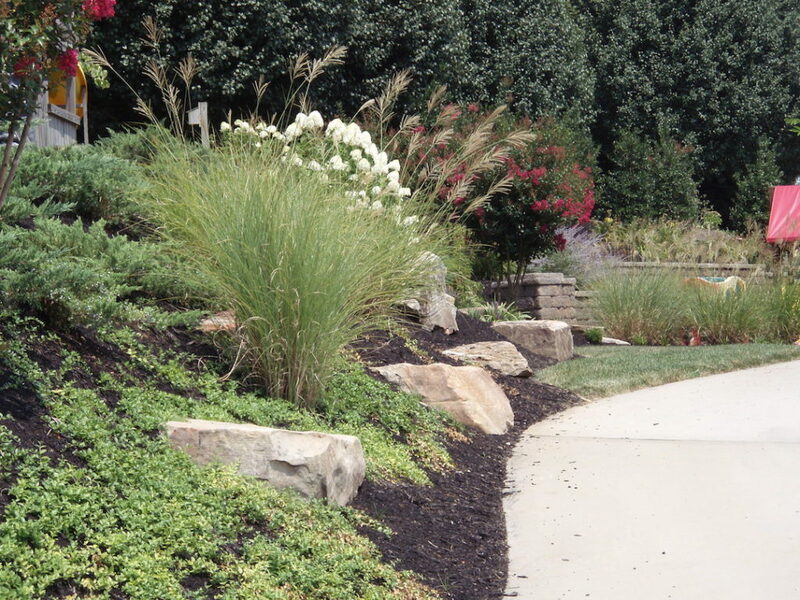 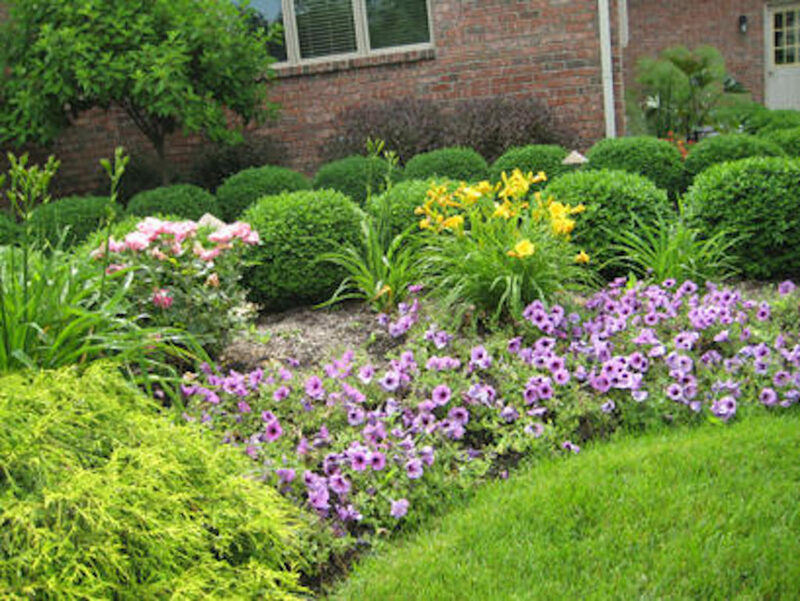 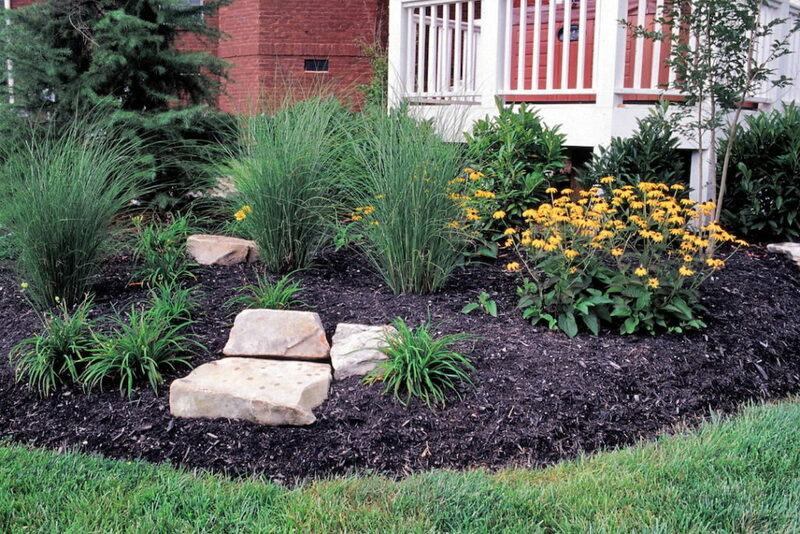 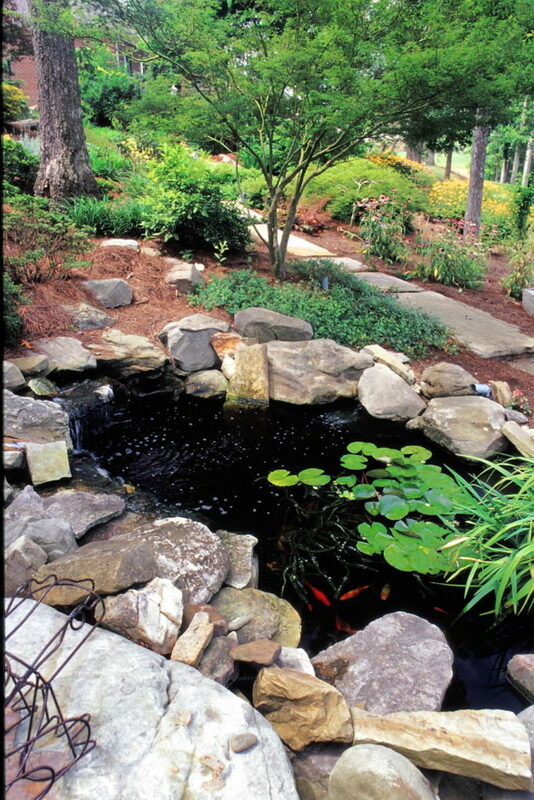 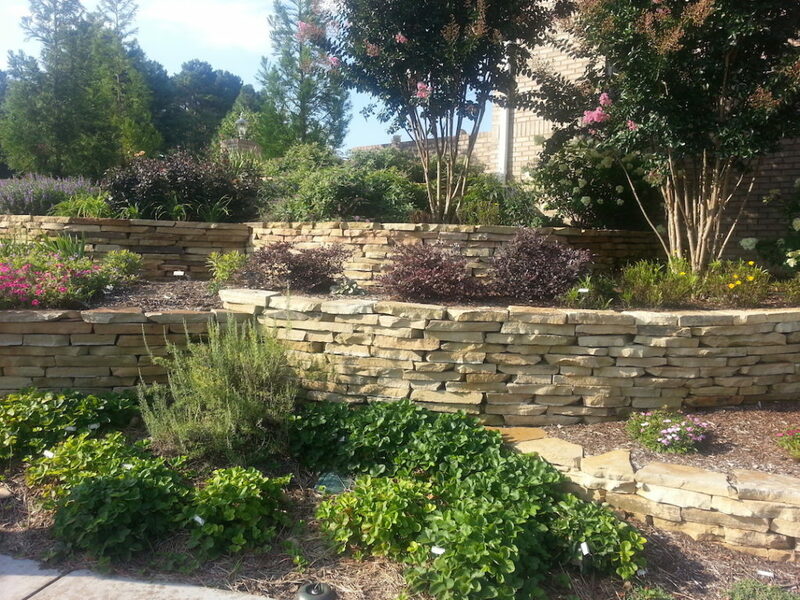 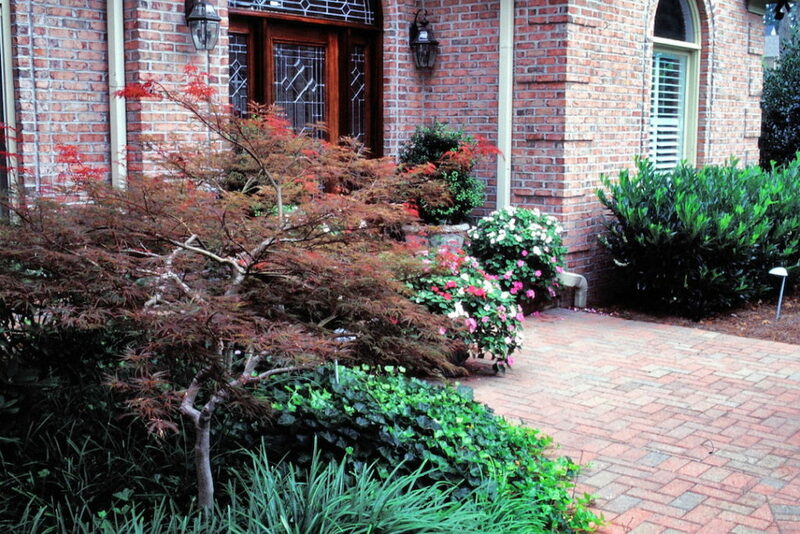 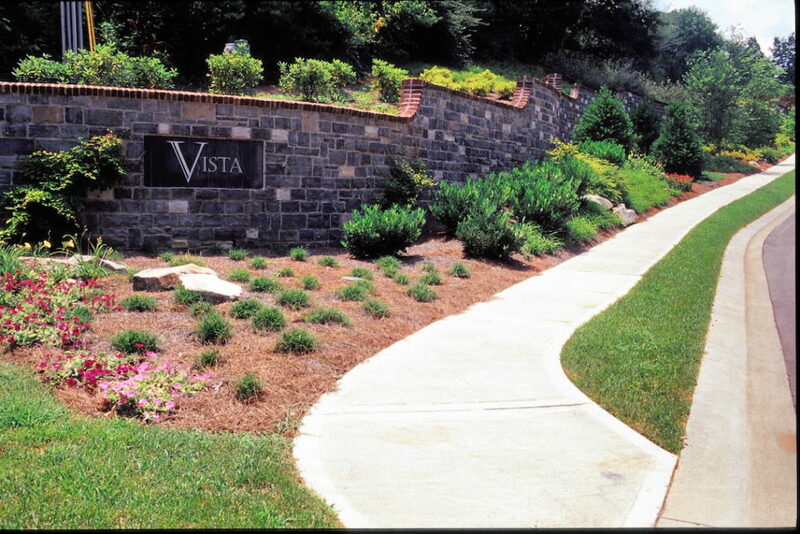 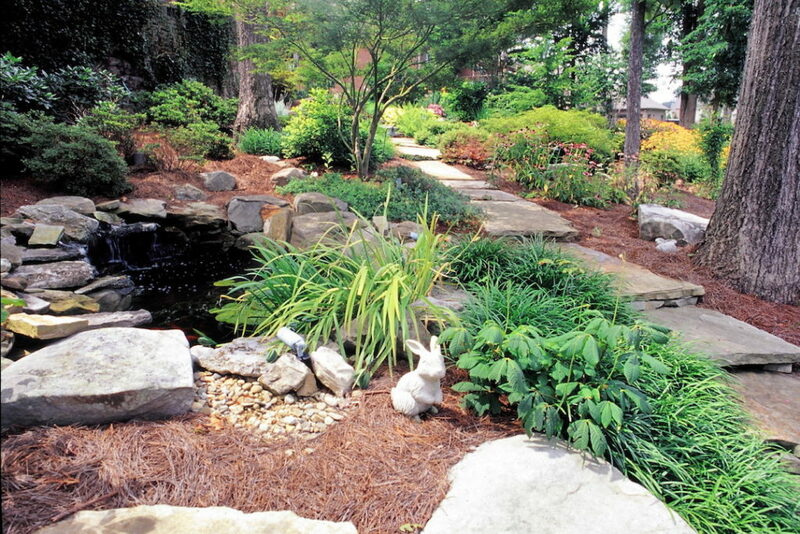 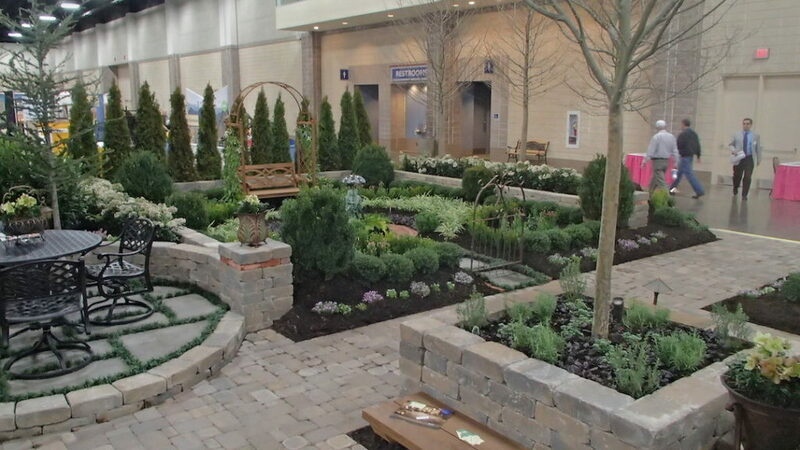 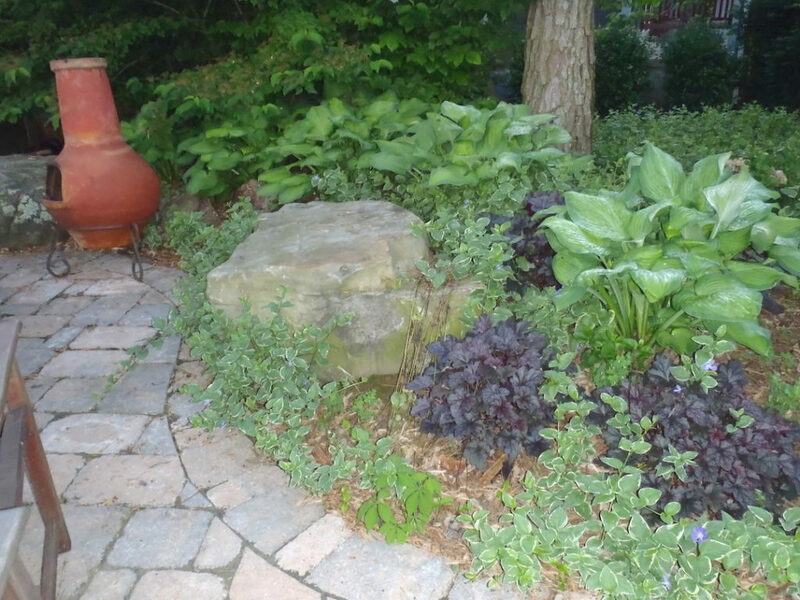 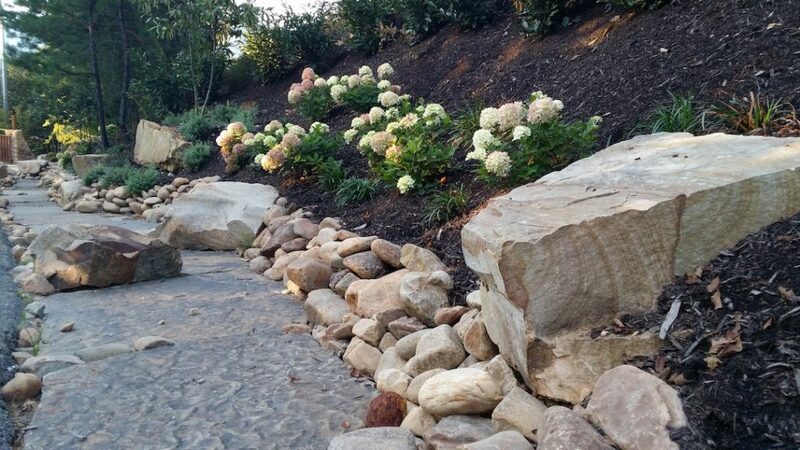 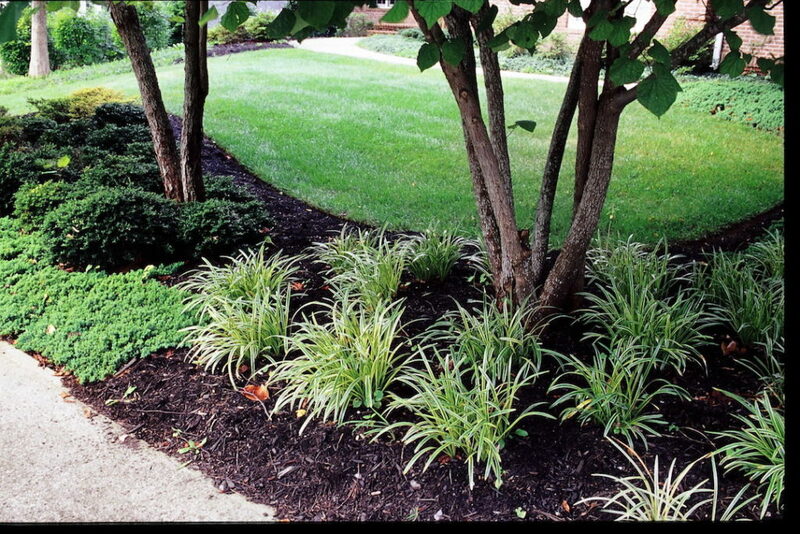 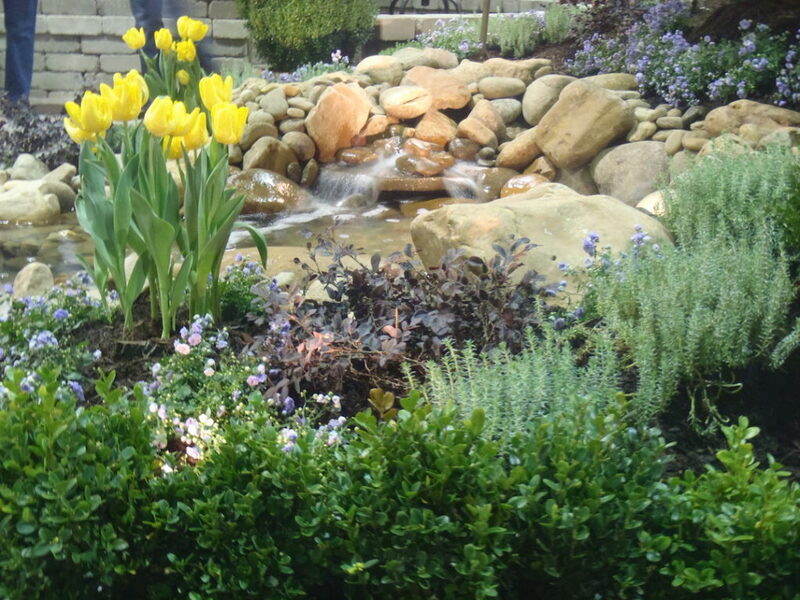 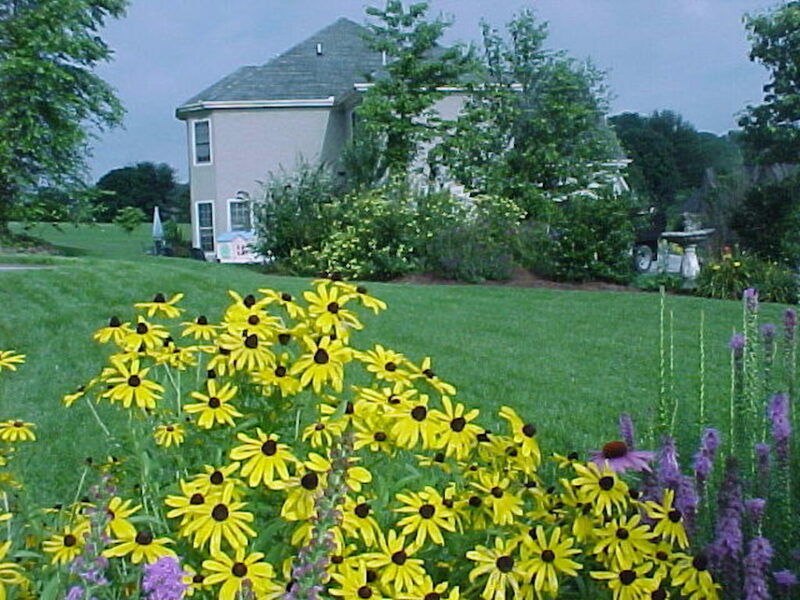 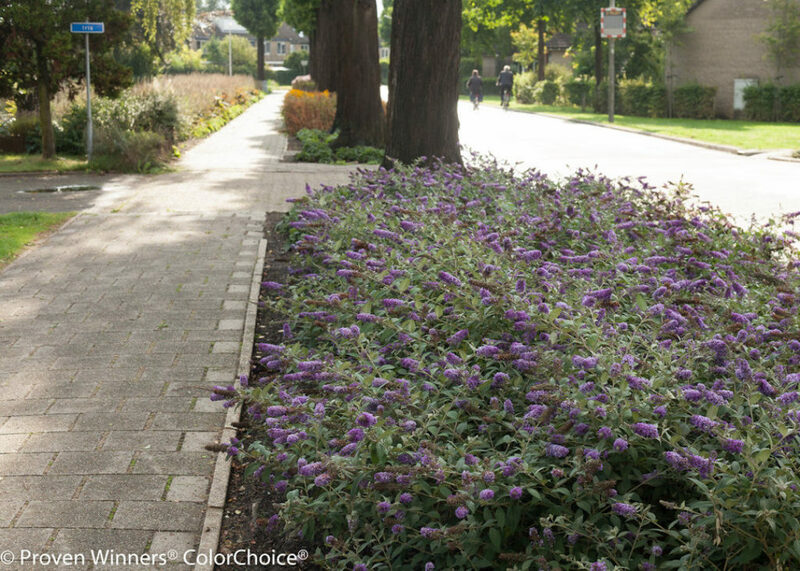 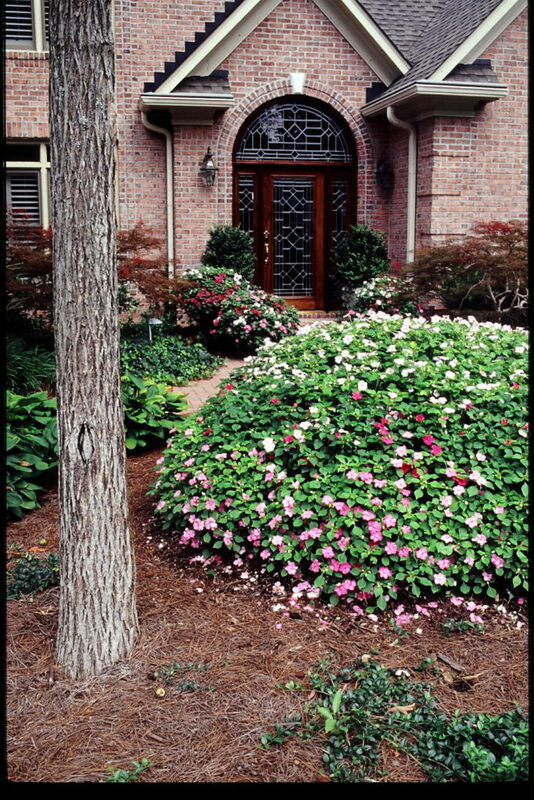 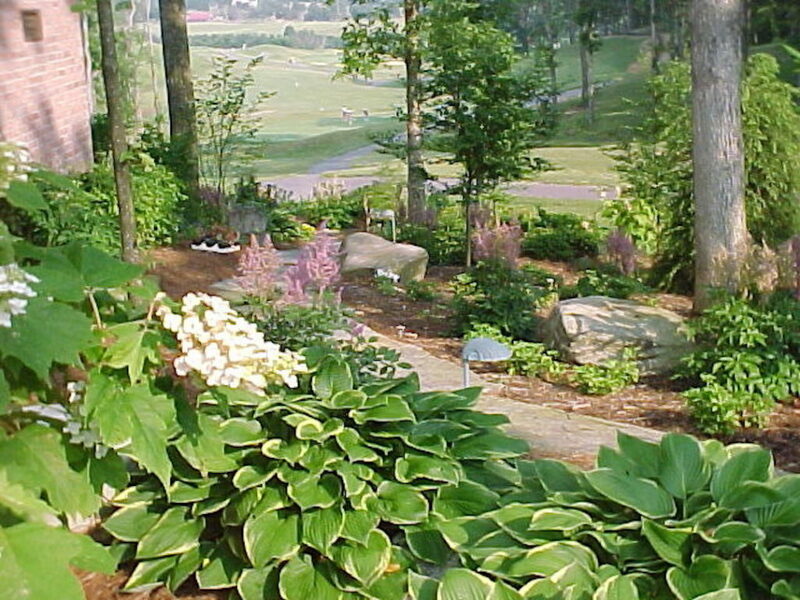 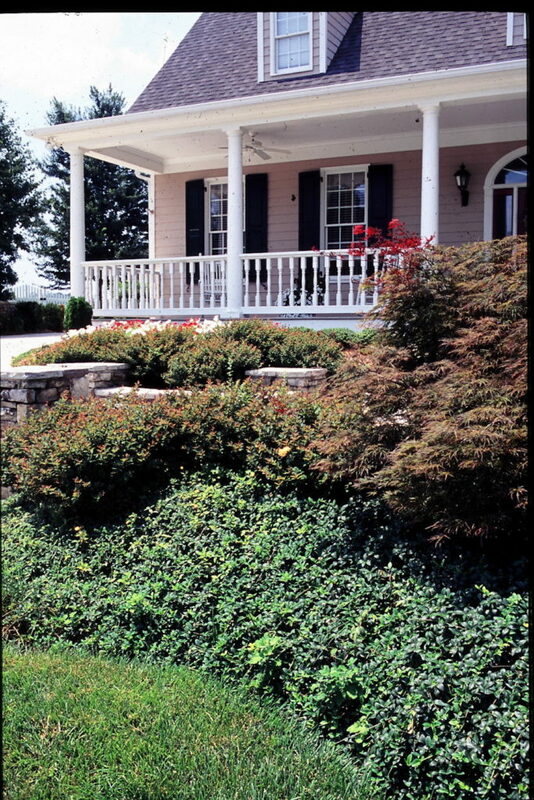 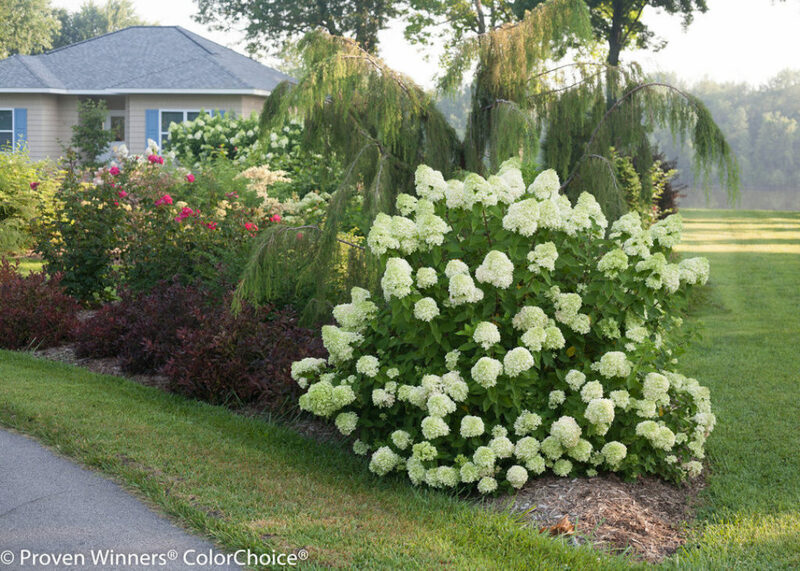 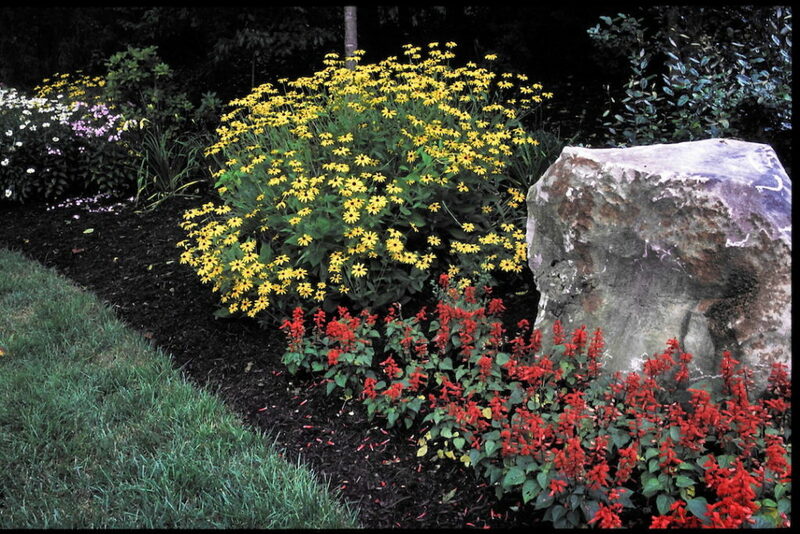 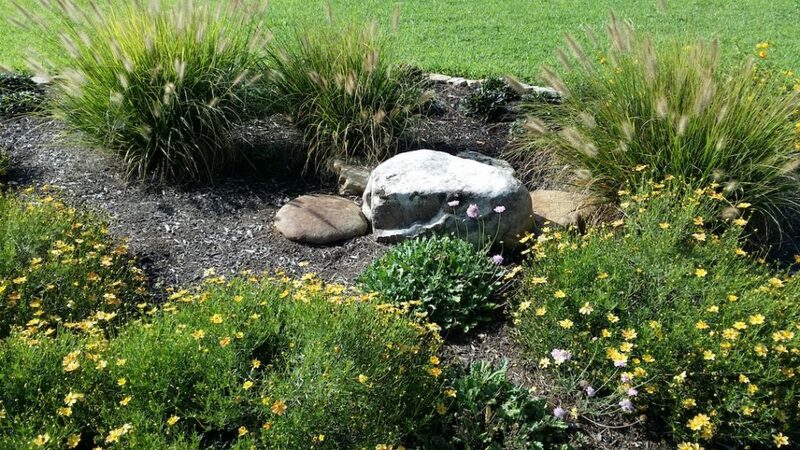 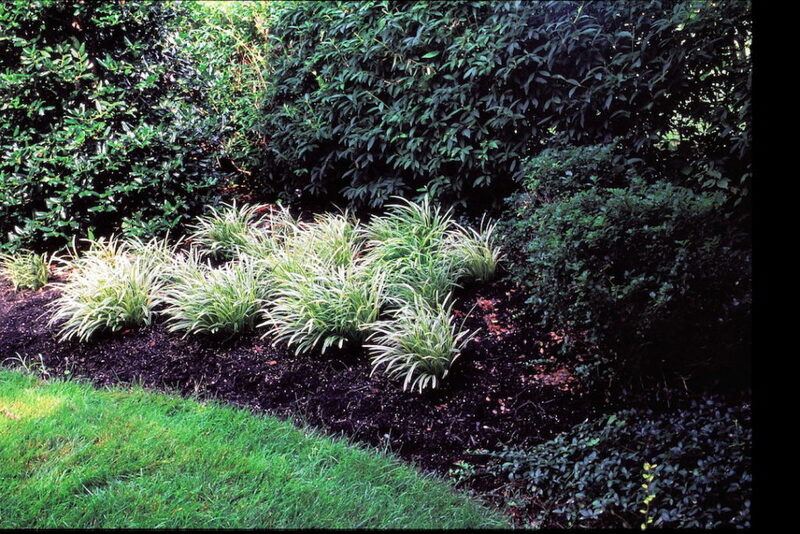 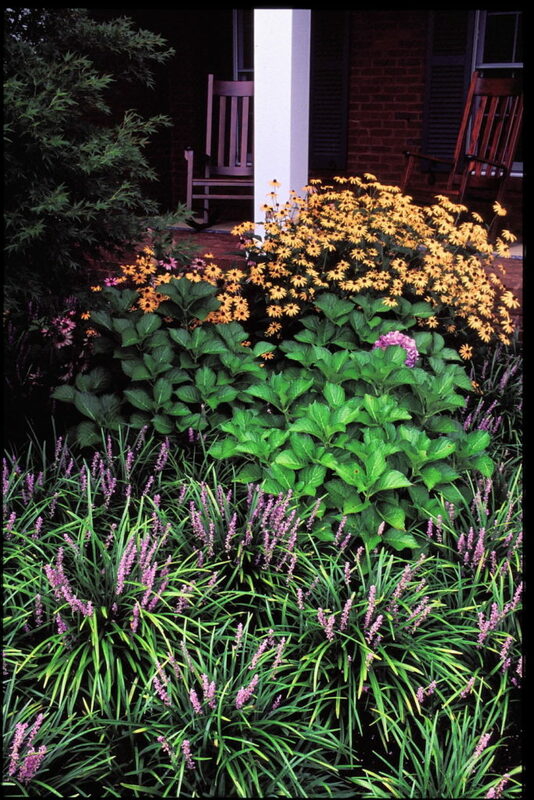 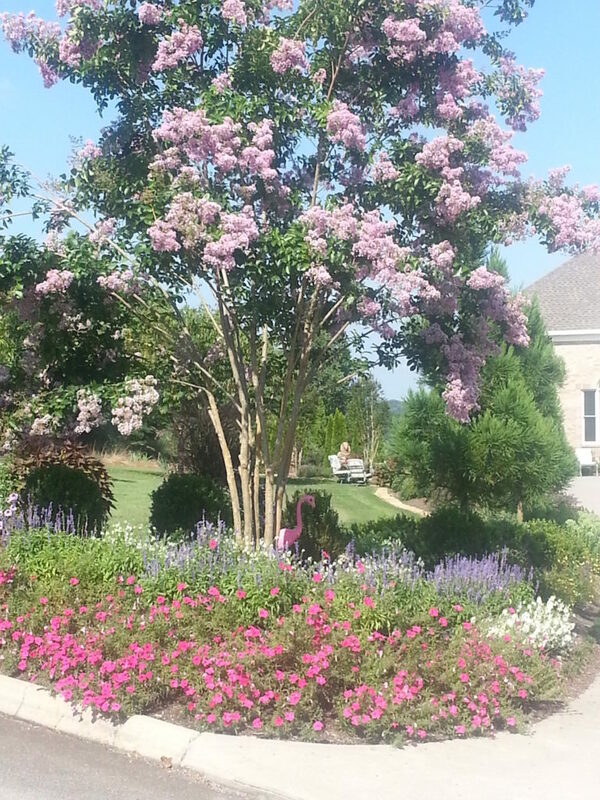 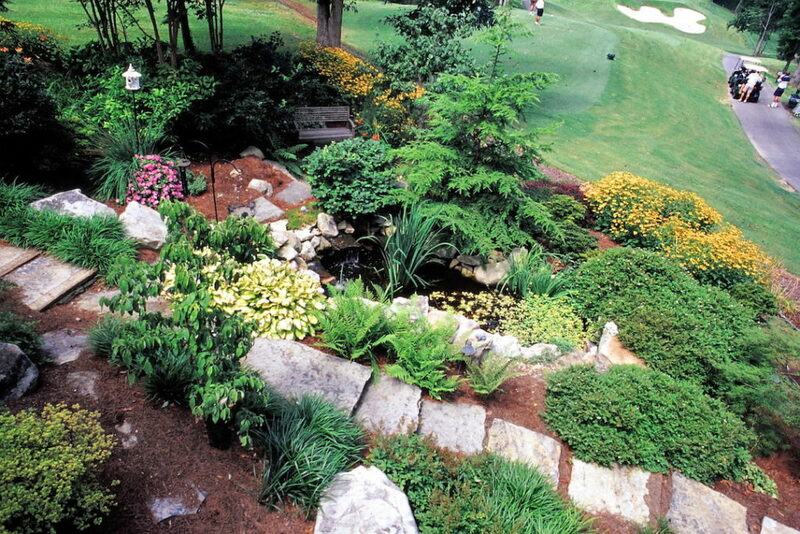 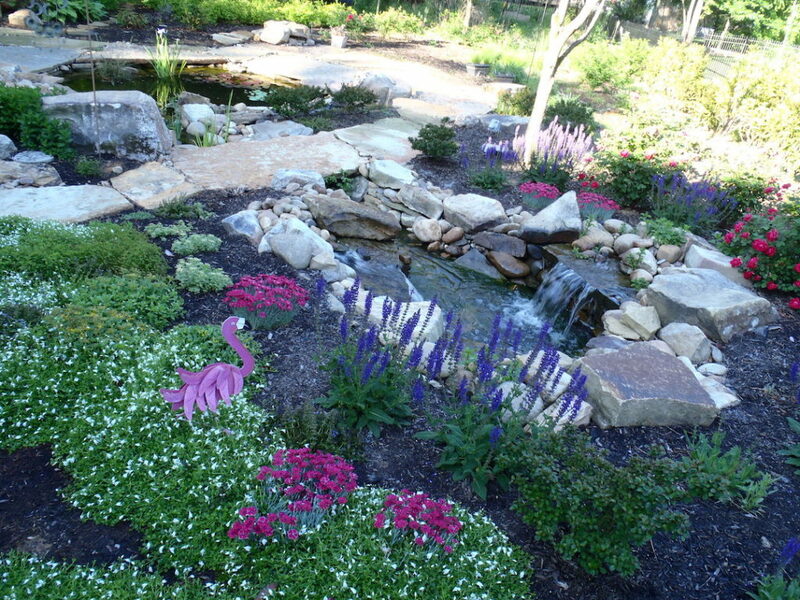 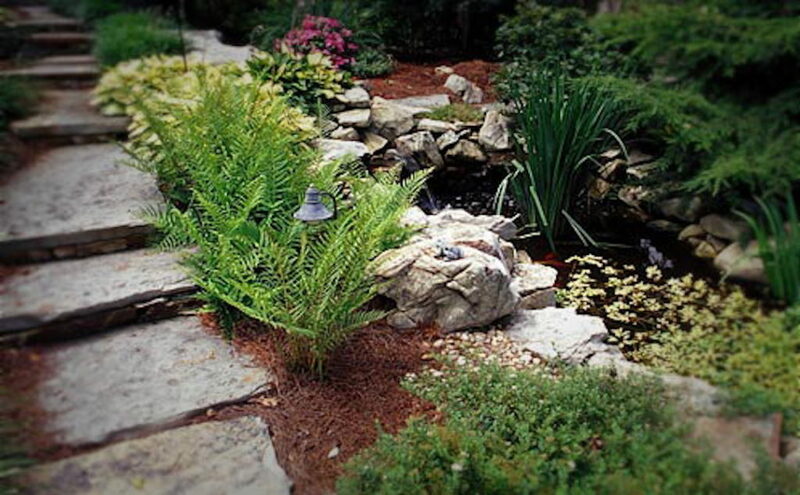 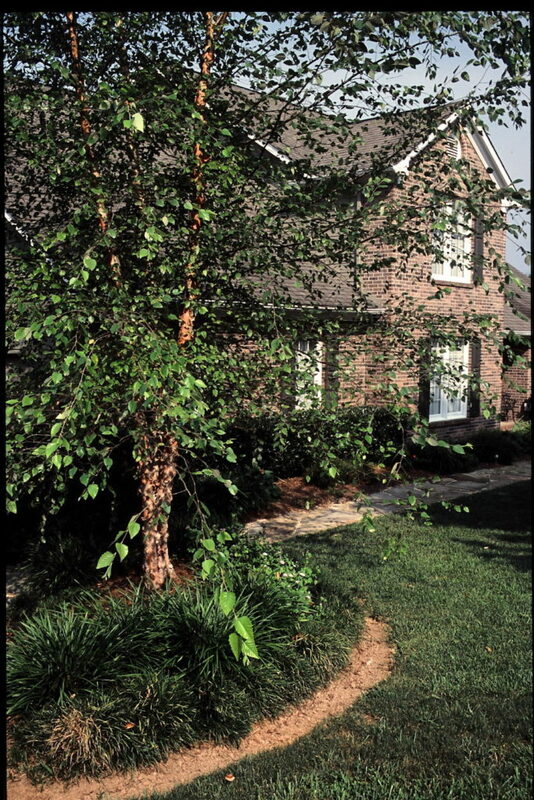 Combining the two we can create a wonderful landscape that is beautiful and low maintenance. 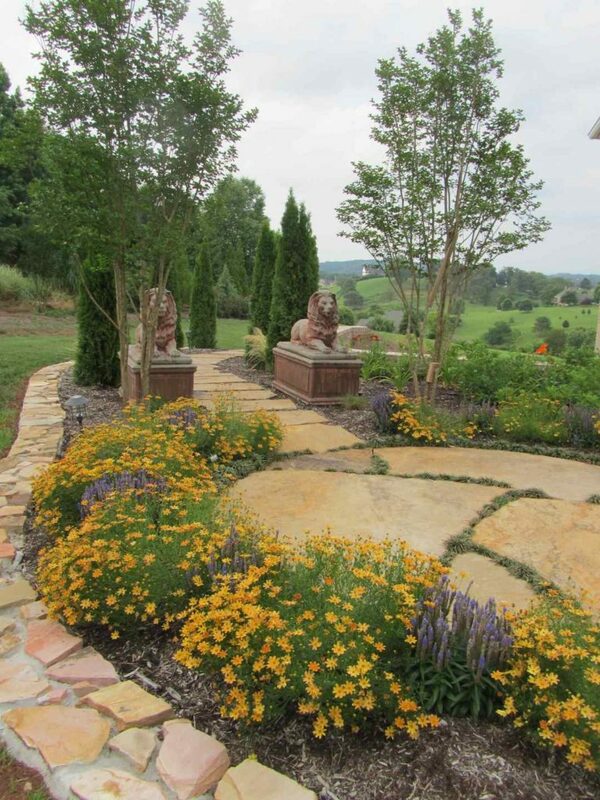 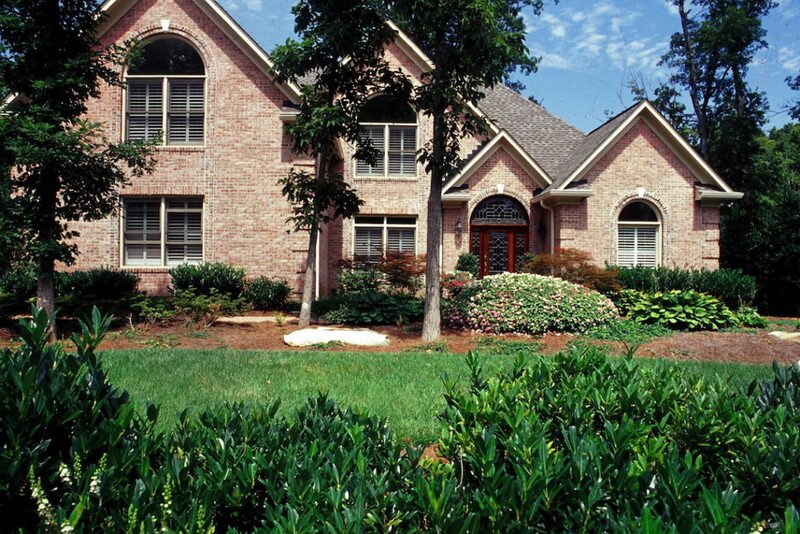 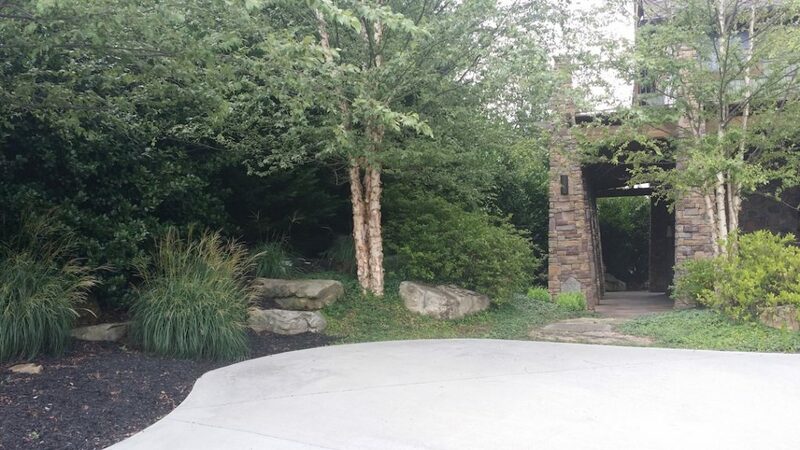 Our master planning on the front end allows us to consider all aspects of your outdoor living space. 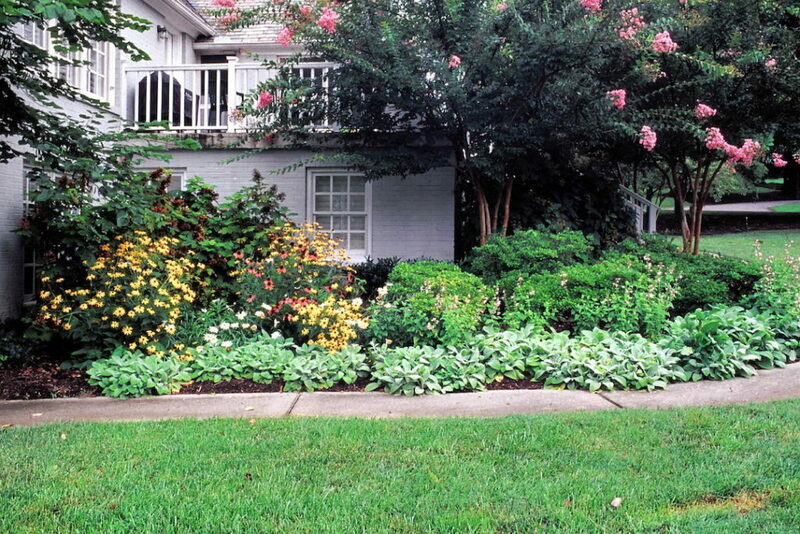 We consider sidewalk and driveway layout to swimming pools and decking as well as landscape gardens irrigation and lighting. 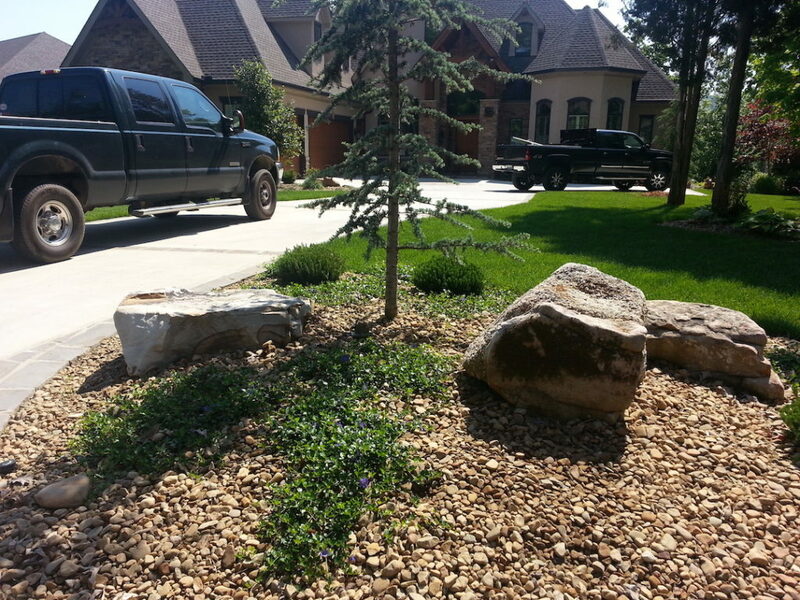 Projects large or small all receive the same care and attention to detail. 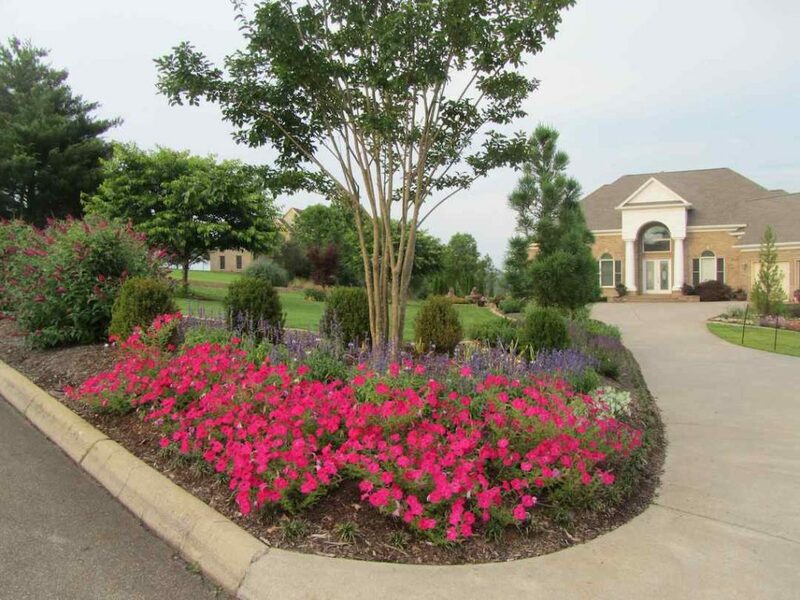 From new home construction to neighborhood development and office parks, our services can provide cost effective master planning and installation.| We always consider the needs of our clients and work as a team to produce the final result.| We appreciate our friends who return year after year to allow us to take part in their new projects. 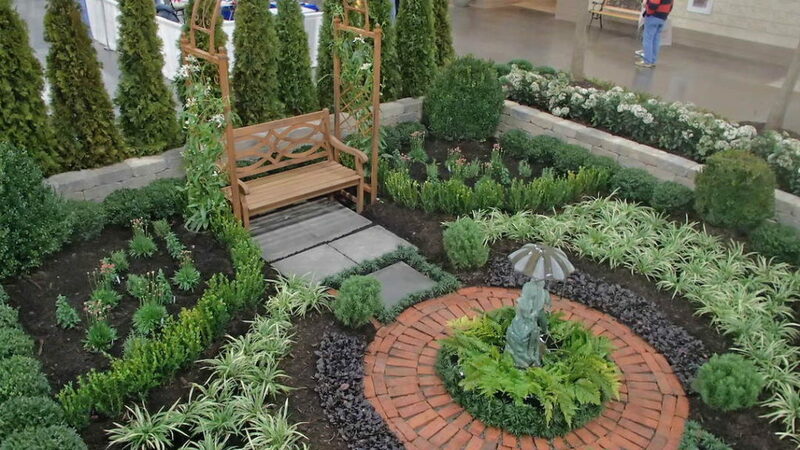 Patio Gardening is the “Icing on the Cake.” Our wide range of outdoor containers and unique plant material, as well as topiary wire structures, can define your individuality and create the finishing touches to your patio, front porch and garden area. 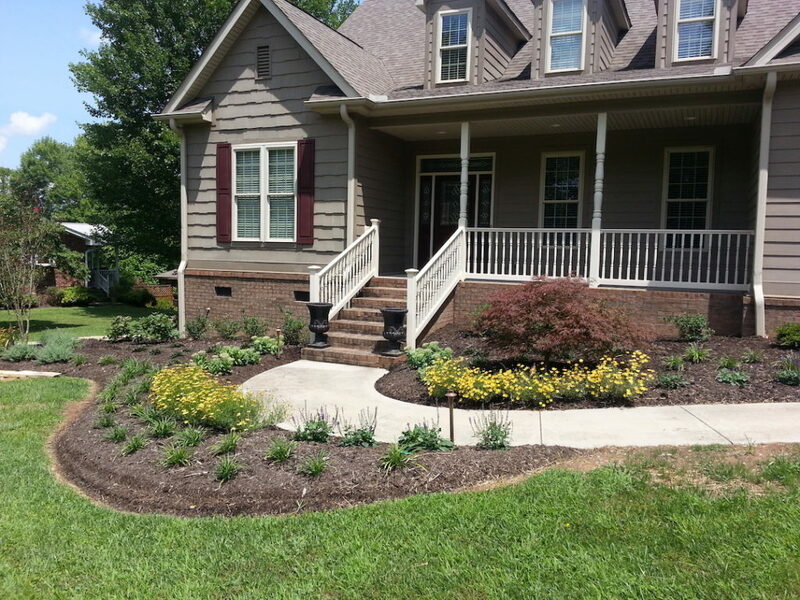 Ask us about our design and delivery services. 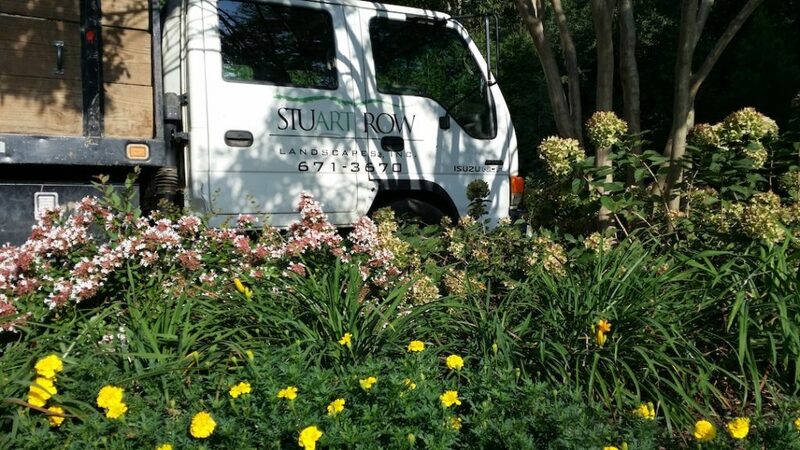 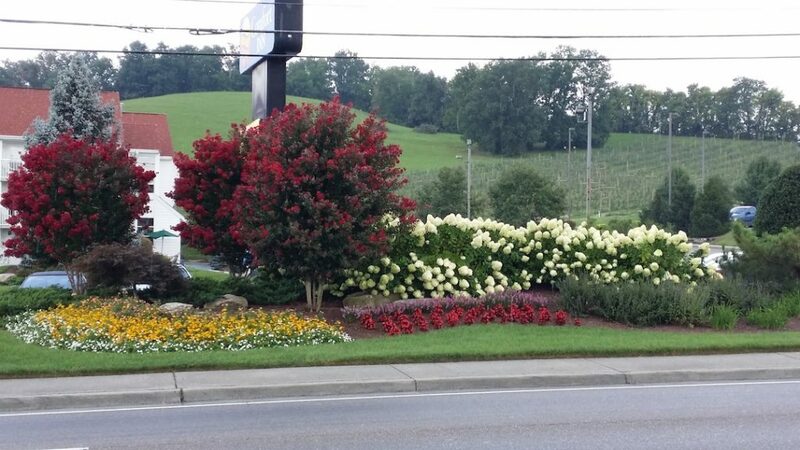 We are always happy to offer our clients “Proven Winners.” We take great pride in providing these and other special groups of beautiful plants to our clients. 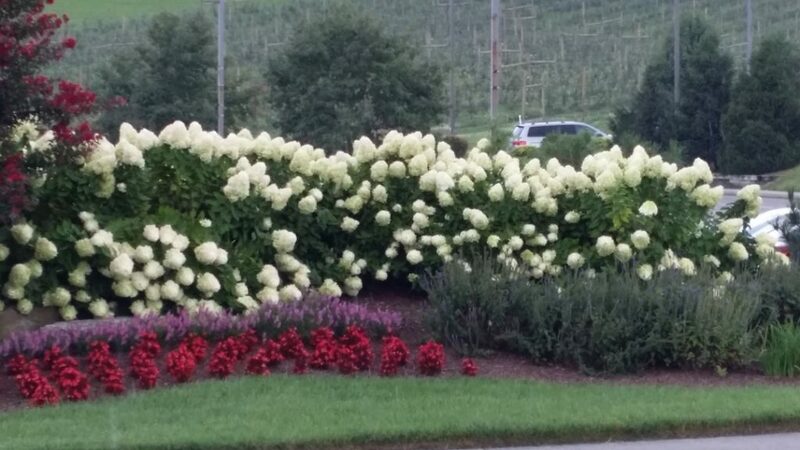 Unique and proven only begin to describe these wonderful plants. 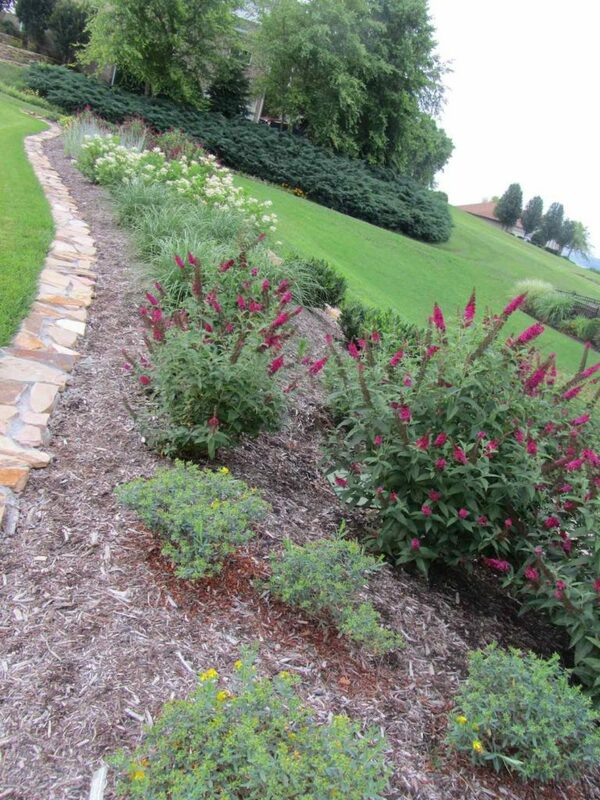 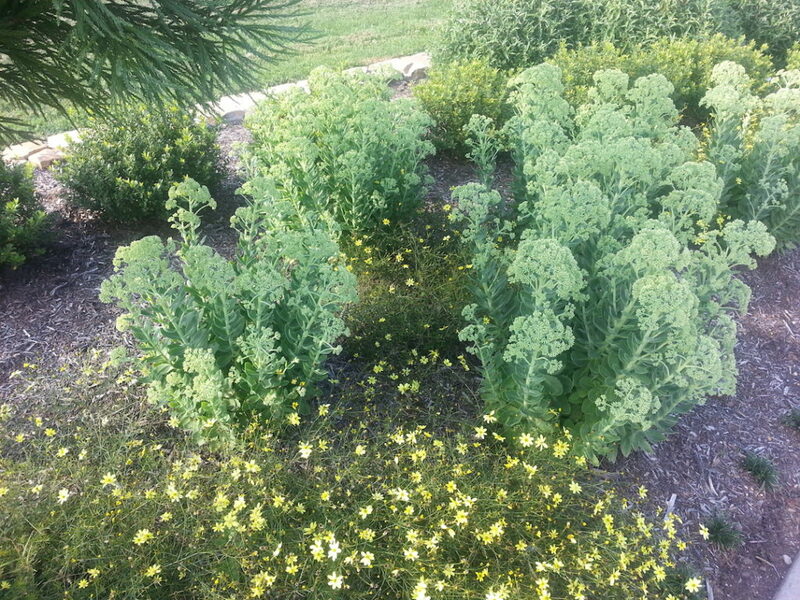 On our farm in Loudon County we grow many unique and unusual plants exclusively for our clients. 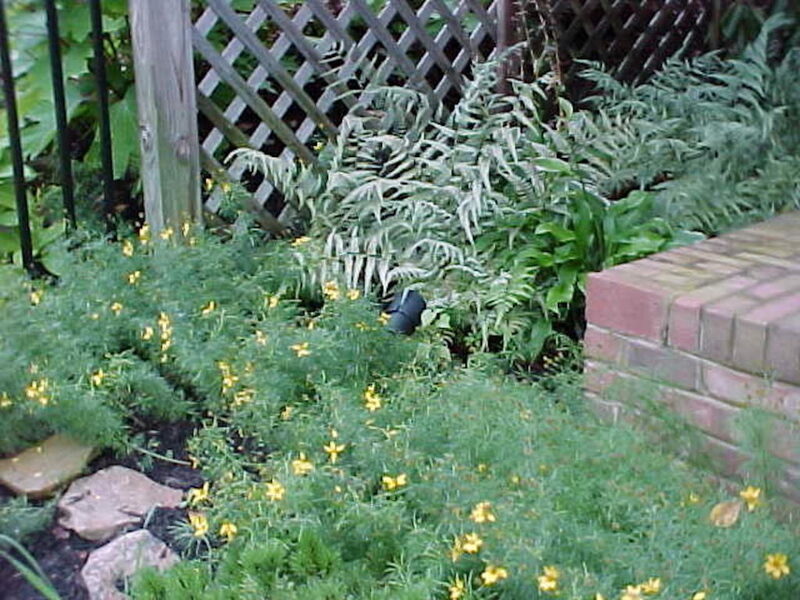 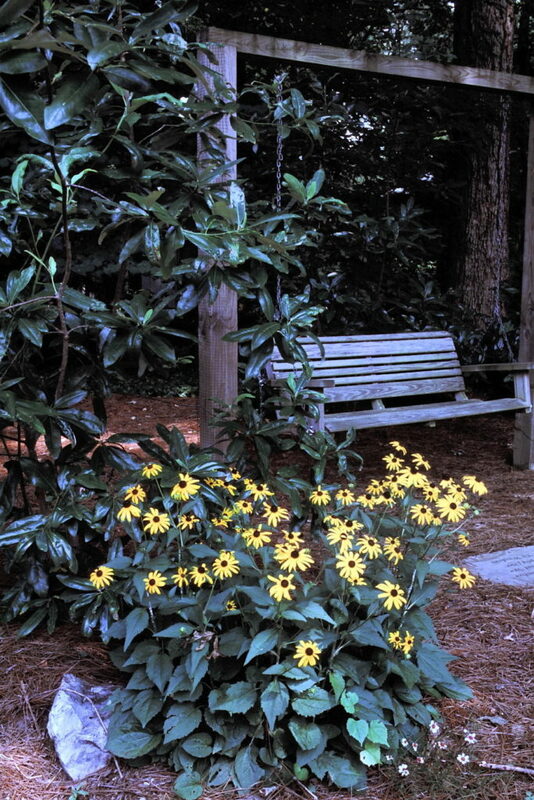 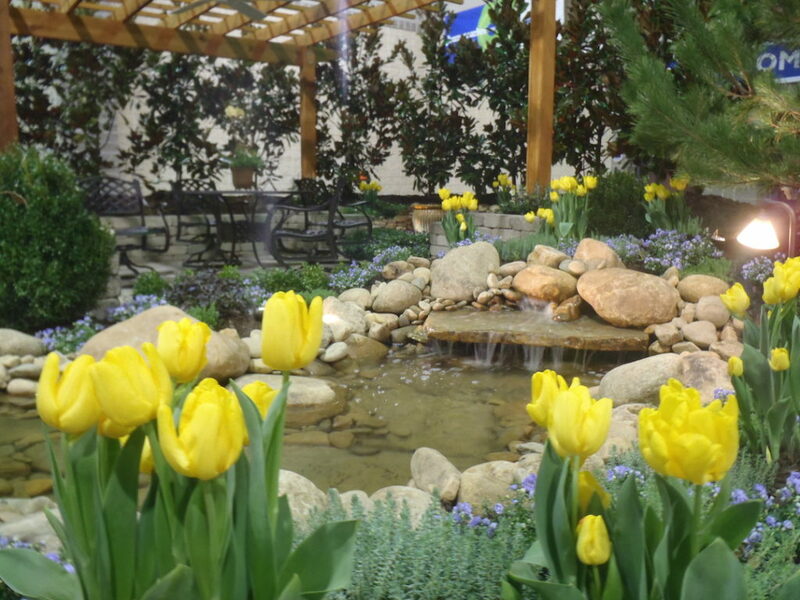 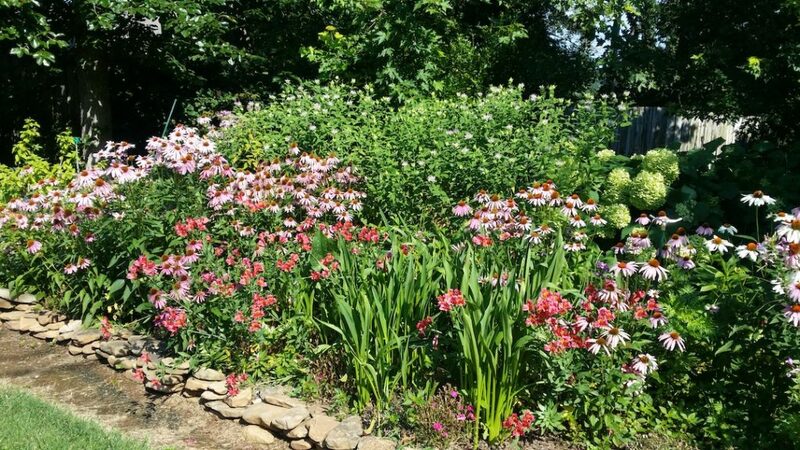 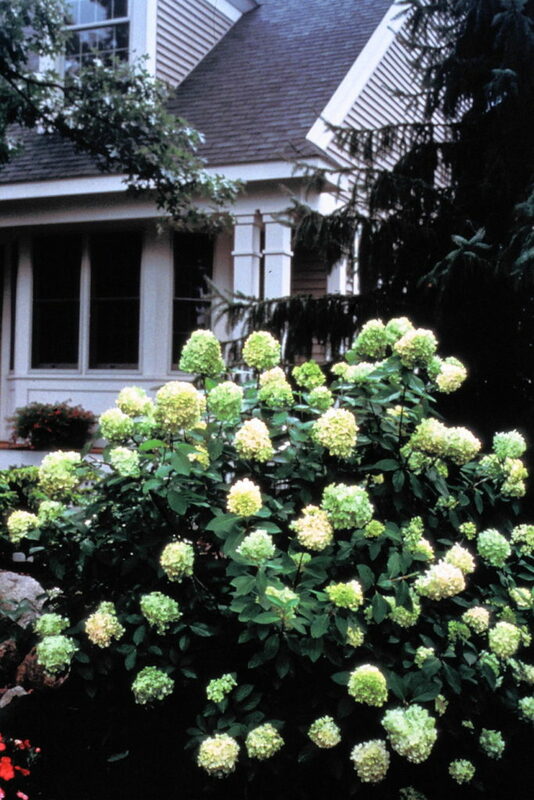 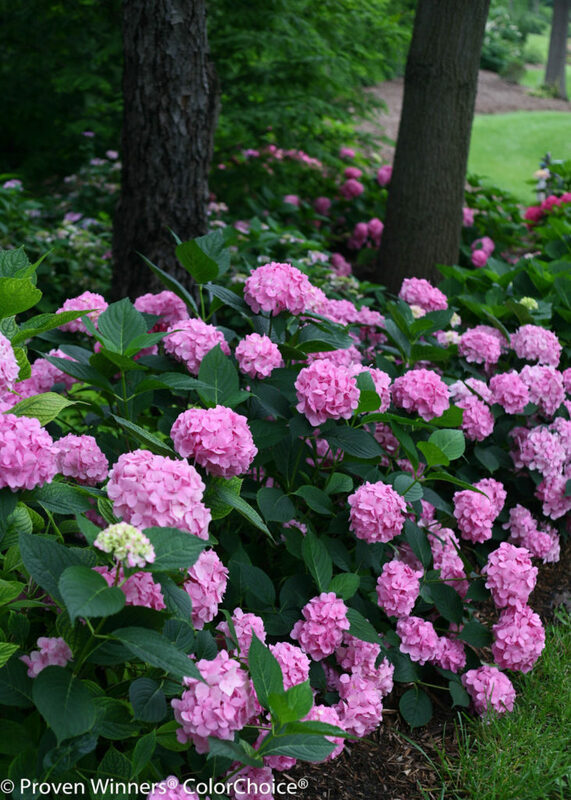 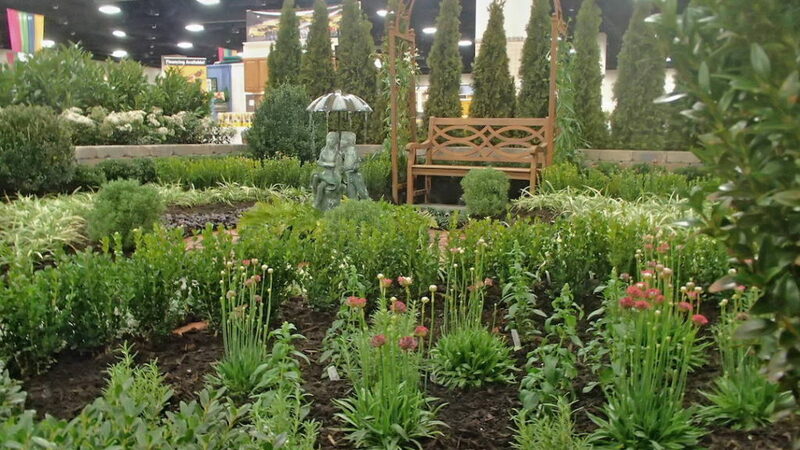 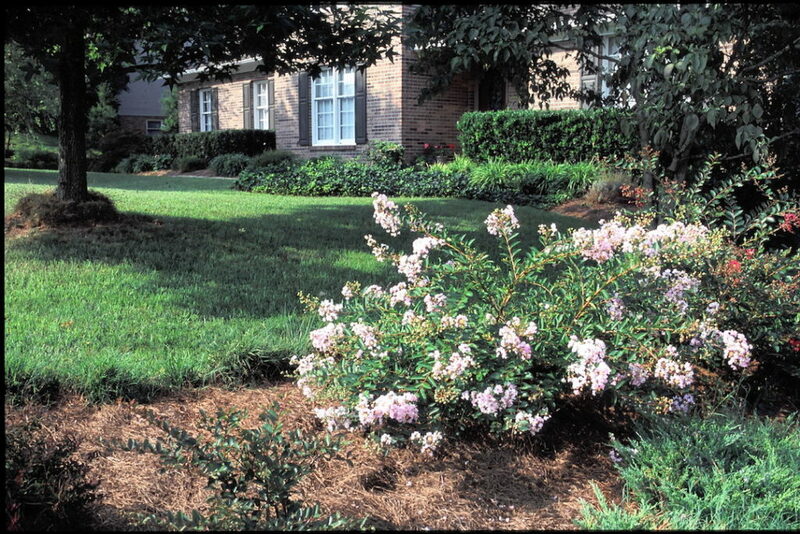 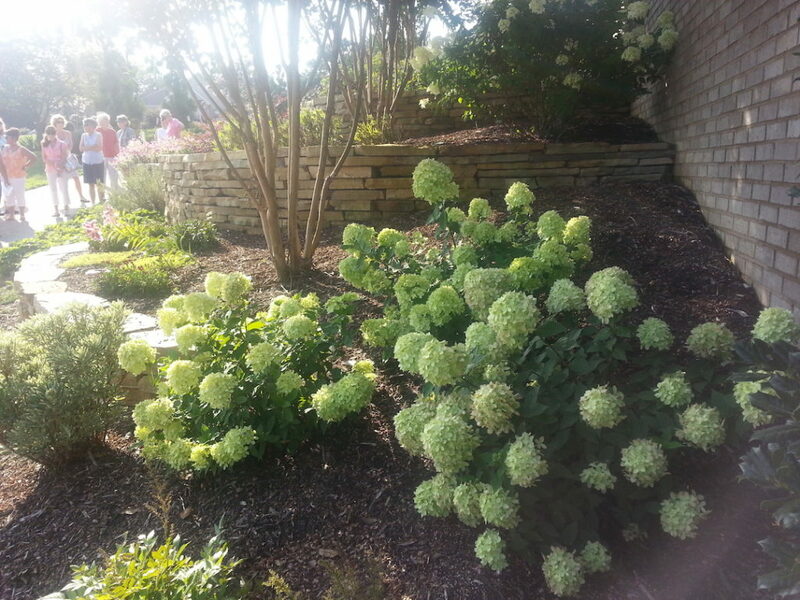 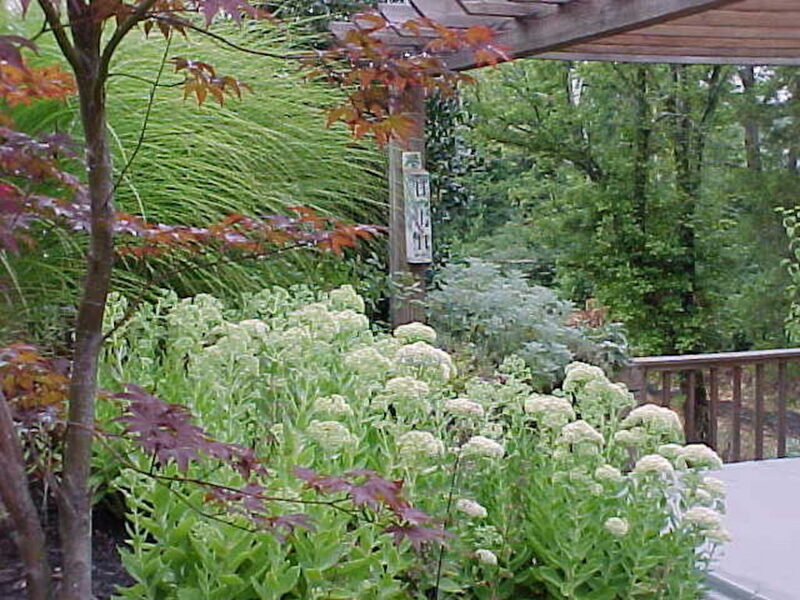 Many varieties of perennials and flowering shrubs not commonly found in your local garden center. 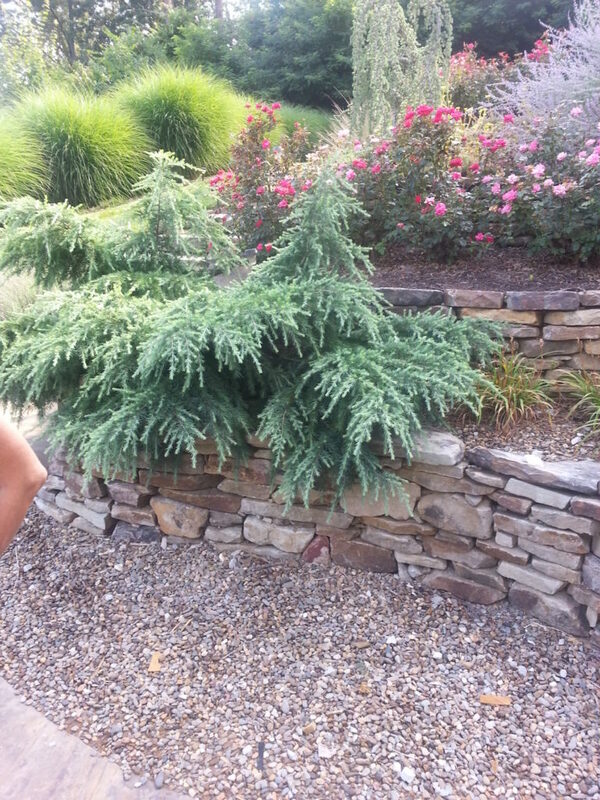 Take a look for yourself.